Irregularities in IIT JEE: Will the new HRD minister offer justice to this tenacious whistleblower? On 22nd October, the human resources development (HRD) ministry in a letter, had ordered the Director of IIT Kharagpur for ‘urgent’ revocation of suspension and appointment of an independent commissioner for departmental enquiry regarding professor Rajeev Kumar’s indefinite suspension since March 2011. This comes as a sequel to several reminders made by the Central Vigilance Commission (CVC) to the IIT management to “examine the issue.” The CVC then on 25 September 2012 brought this indefinite delay to the notice of the HRD ministry which then issued a letter to the Director, IIT Kharagpur last week. To date, Kumar is debarred from teaching and research work and entering his departmental office complex and laboratories. Ever since his son missed admission to IIT in 2006 by just three marks, he has been pursuing the flawed marking and student selection process of the Joint Entrance Examination (JEE) common to all IITs by filing a string of RTI (Right to Information) applications. RTI documents showed that 994 top scorers of JEE 2006, the year in which his son too appeared for the entrance examination, failed to make it to the IITs whereas lower scoring candidates were given admissions. According to Kumar, “this was due to faulty calculation of cut-off marks”. So he decided to go about correcting the flawed system to bring in transparency to this prestigious entrance test so that brilliant students are not denied entry into the esteemed IITs. His suspicion about the transparency of the candidate selection system grew when RTI replies revealed that the optical response sheets of 2006 (answer sheets in layman’s language) were ‘shredded’ (destroyed) despite the rule being that they should be preserved for one year. Also, the management of the IIT changed its version thrice in the CIC hearing and court regarding the formula it adopted for calculating cut-off percentage. What provoked this IIT professor to use RTI so rigorously? In September 2006, Kumar read in the newspapers that the CIC ordered the UPSC (Union Public Service Commission) to reveal its admission and selection procedure and so was inspired to pursue the same for IITs. Thanks to Kumar’s sustained efforts at the expense of being “threatened, harassed and victimised by the Director, deans and the registrar of IIT Kharagpur since he is filing RTI applications and exposing certain wrong-doings (as recorded in a CIC order)”, for the first time the IIT JEE entrance test of April 2012 displayed transparency. The students were provided carbon copies of their answer sheets; the model answers have been put up on the IIT website to facilitate students to cross check their answers and thereby marks and; the cut-off percentage was announced prior to the examination instead of after evaluation of the answer sheets. This was a sequel to a Supreme Court judgment which directed the IITs to upgrade the selection process and make the system more transparent. Between September 2006 and January 2012, Rajeev Kumar has filed over 50 RTI applications for information on various facets of IIT JEE entrance examination and other alleged mal-administration in IIT Kharagpur, even as he was fighting a legal battle in the high court and Supreme Court. He has also filed 39 second appeals/complaints to the Central Information Commission between May 2007 and April 2012. Prof Kumar has been ironically suspended by the management of IIT Kharagpur in May 2011 for “damaging the reputation of the institute” because he made allegations on procedures adopted for IIT JEE entrance examination, exposed copying in these examinations and highlighted irregularities in purchase of laptops. The management of IIT Kharagpur in turn has alleged his involvement in corruption in purchase of laptops. As per rules, it is mandatory to form a committee to review his suspension as he comes under the Central Civil Service Rules of 1965. IIT Kharagpur, though stated that it has its own set of statutory rules for suspension cases, has issued him a letter saying that his suspension would continue till further orders. The HRD ministry in its letter has scuttled that argument. Kumar filed his first RTI application in September 2006 seeking information on the cut-off marks for each subject (Physics, Chemistry, Mathematics) and marks scored by the top 2,000 students who had got through to IITs. IIT-JEE tests examine the analytical abilities of a student in Physics, Chemistry and Mathematics. The students get a call for ‘counselling’ if they clear the pre-determined cut-off marks set for each subject as well as score the required aggregate marks. After the PIO failed to reply, Kumar filed a first appeal but that too was ignored. He then filed a second appeal to the CIC. Kumar also simultaneously filed another RTI application asking for the procedure followed to determine the cut-off marks, the question paper with model answers and names of all the people associated with the examination procedure of 2006. The PIO of IIT stated in an evasive reply that there was “no set procedure to determine cut-off marks” and also refused to reveal the question paper. Then he filed a third application in January 2007 on the number of students who got marks above the cut-off marks and had got selected. In April 2007, the CIC ordered the IIT Kharagpur to provide him the required information on all the three RTI applications he had filed. The information finally provided to him but did not explain how they reached that cut-off. IIT gave yet another explanation of the cut-off system in September 2007 and then submitted a third explanation to Kolkata High Court in August 2009. This proved there was no proper system. In fact, for years, says Kumar, the selection of candidates was a very complex procedure and it was never made public. There was utmost secrecy in the marking procedure. As per rules, each year, one of the IITs is in charge of conducting the examination. For Prof Rajeev Kumar, the story is far from over. More than 20 appeals/complaints are pending with the CIC against deemed refusal of information and submitting false/irrelevant/misleading information. His aim is complete cleansing of the irregularities and corruption in IITs. Too Utopian? IIT Kharagpur – Officiating Registrar Mr. T K Ghosal who appeared for interview on Dec 05. 2012 for the Post of Registrar in IIT Kharagpur does not fulfil the minimum qualification prescribed for recruitment as per UGC / MHRD / Judgement of Supreme Court of India, i.e., 10+2+3+2 / 11 + 1 + 3 + 2 pattern, and has secured less than 50% marks in Master’s Degree received by Distance Education. Members of Screening Committee have shortlisted the name of Dr. T K Ghosal without following the above criteria and T K Ghosal’s allegations. Prof B K Mathur who is one of member in the screening committee for shorlisting the candidates for the post of Registrar in IIT Kharagpur is under CBI scanner because of his involvement in fake institute scam in IIT-Kharagpur. B K Mathur, current chief vigilance officer, was a member of the board of governors of IEE (I) in 2001. Unless there is something else to show, which I am sure you do not have, it will be wrong to appont a person who does not meet the minimum requirements for the post. It is a legal question but there are other related questions? Do we not have better people available out of 120 crores Indians for the post? Have the IITs gone so low as to appoint a disqualified person for the post. What efficiency and work culture will develop at IITKgp with such a person holding a key post. I request you to please clarify/ justify what is the interest or reason for giving consideration to Sri T.K. Ghoshal, a non-qualified person for the post when he is not fit to be officiating Registrar either. I don't understand what we are arguing about. Ashok Das and Nikunj don't agree with the article and have voiced their opinions why they don't. What is the need to start accusing them of yellow journalism in the name of IIT KGP? I don't know who is right: Prof RK or IIT, KGP. So I have no sides to take but I believe that we should let people disagree as long as they are not offensive. I did not find anything objectionable in Ashok Das' writeups; in fact, he has been polite all through. Whether he is truthful is not a call I can make but so be it. I am not a lawyer interested in dissecting the case. I am a graduate of IIT Bombay (I entered IIT in 1983, not 2006 :-)) and am fairly active with IIT Bombay Alumni Association. So, yes, IITJEE's reputation concerns me more than most of you. Having dealt with thousands of IITians and hundreds of IIT professors over the last 29 years, I can guarantee you that there are professors who could stoop as low as accused in this case, and then there are professors who are paragons of virtue. So I would be happy if both sides of the story are presented. I am glad that Prof Rajeev Kumar has succeeded in bringing transparency to the selection process through IIT JEE. I wish God speed for his reinstatement and punishment for the guilty. My own feeling is that buying items of personal/ domestic uses from Project money is very common in every IIT, in every University etc. There can be a study on this with interesting output. And IIT Kgp used this lever to pull RK down leaving others untouched. Prof RK got interested in RTI because his son could not get admission in IITs has nothing wrong in it. All of us get to know of the issues only when it hurts us directly. It is bit surprising that no one laments the fact that 993 students were denied admission to IIT in 2006 because of fault of admission process. I remember, my son had appeared in 2006 JEE and lost chance to get in because he got less marks in Maths. That year, Maths paper was very tough. He had got good marks in other two subjects. Just because he had 15 marks (I hope it is correct) in Maths he could not get in. May be he was one of the unlucky 993 mentioned in the article. He tried once again in 2007 and got admission at IIT Bombay. But he lost one year. Can any one compensate him in any way for loss of 1 year of his student life? I appreciate efforts put in by Prof to bring transparency in the IIT JEE entrance system. Your reply indicates a vindictive attitude by the institute. If all that the institute could gather against a whistle-blower who exposed not just JEE irregularities but also laptop procurement scandal and more is a laptop misuse and defamation and "etc" mangoman understands what is happening. More facts from you would help if you have a case. Did IIT inquire laptop misuse by each and every professor or was Prof Rajeev singled out? Did IIT press defamation suit against professors whose wards got admission despite low merit based on JEE irregularities? Did they not bring ill-fame to IIT? Does IIT have whistle-blower protection policy? since IIT is so fair in punishing is it also fair in rewarding and did IIT reward and recognize Prof Rajeev,when SC judgment said and I quote,""IITs and the JEE candidates who now participate in the examinations must, to a certain extent, thank the appellants for their effort in bringing such transparency and accuracy in the ranking procedure." Kindly see my response to the author below. Linking RTI to his suspension is misleading people. You must have seen documents on the net which show how Prof Kumar tried to purchase a laptop for his son using Govt funds,etc. When he got caught, he tried to blame everyone, use RTI to move the matter to another direction and fool the public at large. This is all well recorded now. We can always agree to give credit where it is deserved but not malign others for wrong things. Let us have a strong RTI movement by people who do not use their power of activism for personal gains and threats to ordinary people. Thank you for your time and thoughts. Linking of RTI with his suspension cannot be done overtly by IIT. It will be illegal.Therefore, formal claims of not linking the two are not sufficient if that is not so borne by IIT's actions. But how bureaucracy can get after an individual, especially whistle-blower is what is becoming obvious with your replies. To take an analogy, I am sure none of us is naive to also not know why govt alleges funding issue of IAC (but does not disclose its own party funding) and not get after every NGO in the country. Don't tell me it is random and govt's prerogative. C'mon we all know. Back to issue- you did not answer if IITs probed and regularly probe all misuse of laptops or only his. If in the minds of IIT decision-makers the two (his RTI pursuits and his alleged misdemeanours)are not linked and you acknowledge his contributions, let IIT formally praise him on record. Please share if done. Instead they resist in court till finally hauled up. My other questions to assuage apprehensions that he is not singularly targetted remain unanswered. Is IIT reputation more damaged by expose of irregularities or by those who negligently or wilfully allowed systemic errors and/or misused to get their wards in- any IIT board resolution condemning such people? I also disagree with your comments that courts only said one positive statement and rest is all criticism. It even went on to say "the results would have been different and the first appellant might have obtained a seat". Many anomalies IIT has not been able to defend still. Answer sheets were burnt before prescribed limit. Why? In any case, if IIT recognized his contribution, why did he have to fight all the way to SC? Simple- IITs do not like a closed system at least some in power at IIT were benefitting from and had to answer for, being made open. I am afraid IITs have to come clean on his suspension being absolutely unrelated to his RTI actions. Name all people who brought ill fame to IIT, not one who you acknowledge brought good repute in one way at least. Sorry Sir,I disagree. You are mistaken. This case is not similar to the analogies that you draw with IAC. Please do not compare him with IAC, howsoever he may try to be attached with it. The matter relating his impending suspension to JEE and RTI was raised in the Supreme Court and Supreme Court refused to accept that IITs charges (which were presented to Supreme Court before suspension was invoked) are linked to JEE. Only after that was his suspension order handed over. Even after his filing case in 2006 JEE he got promoted to Professor and was not hampered in any way in his academics and research. Only when he started falsely maligning the Institute in multiple ways is IIT had no option but to charge sheet him and this is not in any way related to JEE or RTI. IIT did acknowledge when he got the RTI award and officially acknowledges it in its own website. So here again you are possibly misled. IIT did not investigate laptop only for him. He caused the matter. Prof Kumar submitted a laptop requisition with shipping address to his son in Hyderabad through an invalid quote and process and when IIT told him to follow due process to buy laptop which would cost no more than what he proposed, he started false accusations and insisted that his requisition be accepted. IIT pleaded with him to follow the rules, but he was adamant and began to accuse and threaten people when his demands werenot met. Should we assume that such acts should be accepted because he is an RTI activist? He threatened officials in IIT if they do not accept his demands? Does this behove an RTI activist? He removed names of co-authors from papers where he was corresponding author without informing them, including some students? Is this ethical? Now even after receiving this complaint, IIT is scared to proceed against Prof Kumar. Why? In case of another Professor who did the same thing, he was immediately punished. He wrote mails to inform committee members to influence appointment of IIT Directors since 2006/7 using his power of activism? Is that how an RTI activist works? He wrote bcc mails maligning IIT to hundreds of people with false information. When for the sake of transparency he was asked to provide the list where he has sent his emails so that IIT could reply to them with their version, he refused to respond? Is this how an RTI acivist, a crusader of transparency behaves? Are things propagated by him applicable only to others and not him? So my only request to the author was to place all sides of the story and not make it overtly one-sided and mislead people. When you report something it must be balanced. You surely cannot deny Prof Rajeev Kumar the tenacity with which he pursued the technical flaws and irregularities in selection of candidates in the prestigious IIT JEE examinations by persistently using RTI. While it requires guts to be a whistleblower by being in the system, your institute had shown cowardice by not providing him information under RTI. You provided the information only after the CIC decision. You surely cannot deny him the credit of bringing in transparency in selection of candidates who appeared for IIT JEE. Until recently, the examination results were veiled under secrecy. Whatever fraud you are alleging, it is for you to sort it out. That is a purely internal matter. My story has highlighted his tenacious fight to bring in transparency in the IIT JEE system with the use of RTI. So, there is no question of `unsual bias' to which I take strong objection to. Good Morning and many many thanks for your response. Let me explain again that I feel that either you are misled with insufficient inputs or otherwise you have taken a position where reason and facts will not change anything in your view. I do not wish to deny anyone including Prof Kumar his due credit even an inch, but we should not also falsify things and present to the public what is wrong and untrue. "Rajeev Kumar, professor of IIT Kharagpur, is consistently using RTI to expose irregularities in the IIT joint entrance examination and has triumphed by making the entrance test transparent this year but he has been suspended since 2011." immediately conveys a wrong information to all that he is suspended because of his RTI applications is wrong and misleads people. It wrongly throws IIT in bad light. This is why I wrote to you pointing out bias, maybe unintentionally due to getting inputs from only one source. My second objection is your picking and choosing of only the portion of the Supreme Court Judgement that is related to the Court calling him an 'unsung hero'. The Supreme Court clearly states that all his claims are dismissed and even goes on to state that there is no iota of evidence, etc. Unfortunately you do not reflect the same. This again makes the story quite coloured and biased in one direction when High Courts and Supreme Courts have dismissed several petitions. My third objection is your statement in the response above that 'whatever fraud you are alleging is for your to sort out' is also quite interesting. You seem not interested to see evidence I have emailed you of him allegedly carrying out financial fraud, academic fraud, unethical power-play. If Prof Kumar can state things and you can consider writing it, why should you not be interested in even examining some facts about him? This somewhat strengthens my view that there is bias in your mind at the moment.I would still request you to read the evidences once. I have a longer list, but I do not wish to consume more of your time on this. In any case as you state, if your story wanted to highlight his RTI fight, then why related it to his suspension? I am the last person to deny anyone an iota of credit for anything they fight for but if that is at the expense of falsely maligning an institution and persons of repute without providing all sides of the issue, then 'unusual bias' must be attributed to. In this case, from the first line you indicate that Prof Kumar is suspended by IIT because of JEE and RTI and that is wrong and threads facts and seems to hide facts to show only one point of view. What is your position in the IIT? Are you the authorised person of IIT to talk about this case? Are you or all others commenting here authorised to do so?? Is the author of the article authorised to do so?? Or is it that only RK's sympathizers are allowed to speak on this issue and not others. Let the author allow us to post links here and we'll show the true face of this so called whistle blower. Yes I do agree he did a good job with JEE. But he was not suspended for bringing that into fore front. The Author is showing a false picture. RK has been suspended because he tried to play fraud upon IIT. He tried to buy a laptop for his son using IIT project money, by trying to break basic rules of govt. The matter is sub judicial so would not get into the reason why its taking so long. Even for that RK is to be blamed. Let the decision come, which would be very soon, and you all would know all the truth. Do add the end of the mail ID. We'll be very happy to give you all a detailed picture of everything and yes With Proof. Not like an article as this one, just making one sided allegations. Mr Nikhunj... you are making baseless comments from a fictitious ID that you have created. WE have allowed all comments. 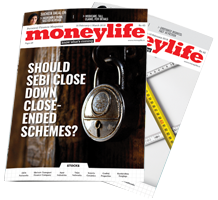 Mr Sandeep Khurana is an independent writer and researcher... his articles are on moneylife for all to see. We have consciously decided to keep this forum open -- it allows us to get responses from others who are connected with events and actions. Also please remember that nobody can file under fake IDs, not even you can do that because, like all good websites, the webmaster is able to check the IP addresses and help us prevent misuse. Its no fictitious ID. Its an ID we all created to fight this yellow journalism against IIT KGP. Did I say you are not allowing comments? Its comments with links which surprisingly for us never gets posted. Leave the links, our comments in itself gets deleted when we go ahead to fight articles. Let me show you three links. Now a simple question. The comments made in those articles were innocent ones. Why then they all were deleted?? Every comment showed the other side of the story. Every comment we all tried showing the other face of RK. But this is what we always faced. Now you get why we are so skeptic now a days. As for Mr Khurana, my reply was to "PPM". Do check who that person is!!! 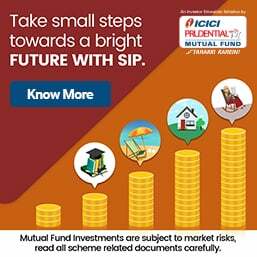 First of all, Do you believe a person of Mr. RK's level, a computer Science Professor in IIT KGP will purchase a laptop for his son using IIT Project money? Unbelievable!!! I think I saw reports of Union Minister Beni Prasad Verma say something in similar lines ('unbelievable that someone will do this for such a petty amount', etc) about the Union Law Minister Salman Khurshid when Arvind Kejriwal alleged some fraud in some NGO!!! Better to try some other excuse. I sincerely wish I were. Then I am sure it would have been handled better and the situation would not have reached this level of unnecessary acrimony between the people concerned and neither would IIT not Prof Kumar have to both be agonized this way. Both Prof Kumar and IIT have acted in a very funny manner to take this to this level. In any case the information I have placed before you all are known / available facts now and I am only trying to ensure that the other point of view is also presented properly to the author (who is indeed very respectable) and public reader who may get a balanced perspective of things in a matter which is so complex that one should not try to portray one side as black and the other as white. It seems a stereotyped response by the high and mighty, to cover up when any systemic flaw is detected. Even when it is beyond individual blame personally,far from coming clean and acknowledging, "system" gangs up to silence the whistle-blower. As we are seeing with so many IAC and RTI activists. Salute to their courage, as much as intelligence and perseverance.Their tenacity inspires many. I do agree he did a good job with JEE. But he was not suspended for bringing that into fore front. The Author is showing a false picture. RK has been suspended because he tried to play fraud upon IIT. He tried to buy a laptop for his son using IIT project money, by trying to break basic rules of govt. The matter is sub judicial so would not get into the reason why its taking so long. Do add the end of the mail ID. We'll be very happy to give you all a detailed picture of everything and yes With Proof. Not like an article as this one, just making one sided allegations. Even the author can send us a mail. And we challenge, can she post an article again with all the proofs we show her??? Its sad that every decision making body has done injustice to the Cases by not rendering it a natural conclusion. This applies to almost all major Cases, and we as a nation are the sufferer.Be it 2G,CWG,COALG etc. Its suicidal for each one of us who try to work through senses, integrity-ethics and standards. And this Inefficiency in the system may be contributed to immoral judges, who are said to be independent.They need to work more harder-faster and efficiently than any common man in the nation.They will have to come out from their fairy dreams and should close cases one after another, they have to act tough against all party involved,and not just keep pushing cases till his lifetime. Are PIOs, FAAs and citizens strangulating RTI Act in Maharashtra? Despite the number of Right to Information (RTI) applications increasing over one lakh since 2010, accounting to 6.5 lakh RTI applications in 2011 and despite 6.1 lakh RTI applications having been replied to, the Maharashtra State Information Commission’s (SIC) annual report has hit hard at the abysmal knowledge and performance by PIOs (Public Information Officers) and misuse by citizens of the RTI Act. Lauding the Information Commissions for disposing off 16,211 second appeals from the total 22,339 appeals received, despite shortage of Information Commissioners. The annual report though rues that only 65% of the staff appointments are filled up, contributing to the sluggishness of the RTI movement in Maharashtra. It has recommended that 81,369 PIOs, 54,327 APIOs and 23,161 FAAs are required for full capacity working of RTI. Mumbai, Pune and Aurangabad lead in the number of second appeals received. Nearly Rs1.5 crore (Rs1,43,09,738 to be precise) had been the RTI application fee collection for 2011. BPL beneficiaries who filed RTI applications amount to Rs13,959. The SIC report has not spared RTI applicants who flood RTI queries in large numbers in Maharashtra. Some of the observations regarding citizens who invoke RTI are: “too many issues are addressed in a single RTI application; a single individual sometimes files too many RTI applications and misuse of BPL facility of free information through improvisation.” This has resulted in RTI being misrepresented and it has encouraged the corrupt officers gaining ground by denying or dodging information, says SCIC. The SCIC report also observed once again that poor implementation of pro-active disclosures under Section 4 of the RTI Act and therefore it has made several efforts to direct public authorities to suo motu upload information on their respective websites. This would make citizens aware of the information of that particular public authority and would drastically reduce the number of RTI applications, filed by citizens. It has reminded government departments of the Section 3 of the Maharashtra Public Records Act, 2005, which comes down heavily on officers who do not maintain proper records or who give the excuse of ‘missing’ files. He further states: “Central Public Records Act, 1993, (Section 9) and Maharashtra Public Records Act, 2005, (Sec 8) lay down strict terms & conditions, and procedure to be followed before destroying any government document. Public Records Rule No 9 (of both Centre & State) says that no public record shall be destroyed without being recorded, reviewed and properly documented. Public Records Act Sec 10 (Maharashtra Sec 9) states that improper destruction, defacement, etc is punishable with five years’ imprisonment and Rs10,000 fine. However, the final question is, why don’t the Information Commissioners slam penalty on the PIOs and ensure that the amount it recovered from them? And what can the SCIC do to ensure that public authorities appoint PIOs and FAAs who are not too junior? On the citizen’s side, can NGOs and RTI activists help in enlightening RTI applicants on being focused in asking information? Seven years down the line, one of the setbacks of the RTI (Right to Information) Act is the failure/unwillingness of public authorities to abide by Section 4 which makes it mandatory for them to upload most of their functions and activities on the website. If such information is put in public domain, a citizen will hardly be required to file a RTI application. He would get the information at the click of the mouse. Department of Personnel & Training (DoPT), Centre for Good Governance (CGG), Hyderabad and YASHADA have worked together to develop an audit tool to help citizens/public authorities, Information Commissioners and NGOs to assess whether a particular public authority is comprehensively executing the pro-active disclosures under Section 4. YASHADA has conducted an audit of more than 400 offices using this tool. The assessment is measured by putting the government office (which is audited) into A, B, C or D category depending on its pro-active disclosures in the public domain. All those who are interested in the tool-kit may write to Dr Pralhad Kachare, director of the RTI Cell of YASHADA at [email protected]. What must a government office disclose under Section 4? 11. Budget allocated to each agency including all plans, proposed expenditures and reports on disbursements made etc. Let this spirit begin with the Govt of India first and then with the state governments under the supervision of the Supreme court. RTI is more of a farce, having finally been rendered a toothless tiger by the PM in his latest declaration of his govt. 's intention that RTI Act must be "restrained" from intruding into the "private lives" of the people (read:(influential and powerful politicians/bureaucrats and their family members)). In the insurance sector/DDA/ police/income tax/RTOs/MCD/NDMC/FCRA/CBDT (especially sec. 35CCA and sec. 35 AC and 80G relared matters, and all Banks (PSU ones not excepted) for instance, it is indeed a non-starter for almost pre-printed-computer-generated-replies-needing-no-signatures issued in almost 100% cases, without any fear or risk of any reprisals as though this is systemic. Save being chiefly a welfare measure for (pliable) retired-civil servants rehabilitation programme, RTI does not appear to have made any dent on the insensitive govt. machinery which is now a hundred percent corrupt with impunity, as is being revealed almost daily. In the "post-poribartan (total change)"state of the great prime mover, Westt Bengal, the state govt and its functionaries being ruled by the ruling party's only leader and the extra-constitutional local contract-holders (like the infamous LCs in the CPM-ruled hoodlum years), RTI and people's rights have been non-existent for the last four decades. In this overall negative scenario for a politically correct RTI Act is best called an academic adventure rich enough as a PhD subject and for getting forein tours to attend conferences for the blue-eyed-brats of the govt.! Thank you for the article though.